Drs. 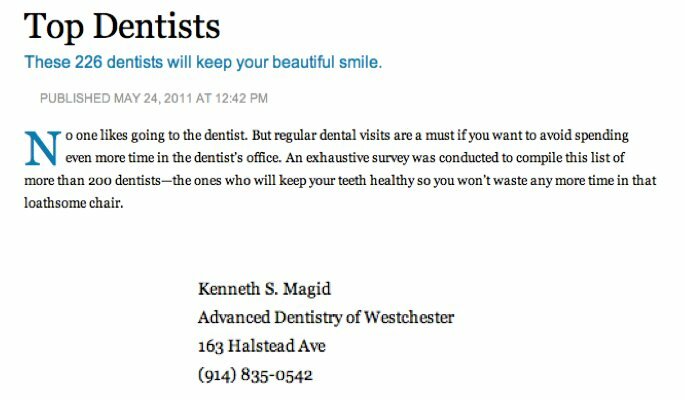 Kenneth S. Magid, DDS, FICD, and Sabrina Magid-Katz, DMD understand that dental health affects your overall well being. Careful diagnosis, planning and compassionate treatment are their trademark. They can restore your bite with implants, inlays, onlays, crowns or bridges. Their expertise is evident in their lectures and articles about High Technology and restorative care. Drs. Kenneth S. Magid, DDS, FICD, and Sabrina Magid-Katz, DMD also understand that many patients feel apprehensive about extensive dental restorations. For this reason, they also provide nitrous oxide (“sweet air”) analgesia, stereo headphones and even virtual-reality glasses and movies to provide optimal comfort. You can be certain with their knowledge and experience you will receive a “standard of excellent care” well beyond your expectations.